You’re invited to tour this lovely, 3 bedroom Chatham home. Outstanding new renovations – Entirely New Bath’s, & gleaming Hardwood flooring up & down, PLUS new Kitchen featuring granite counter & all new SS appliances! • 1638 sqft , 2 bath , 4 bdrm 2 story – FOR SALE USD$419,000 . 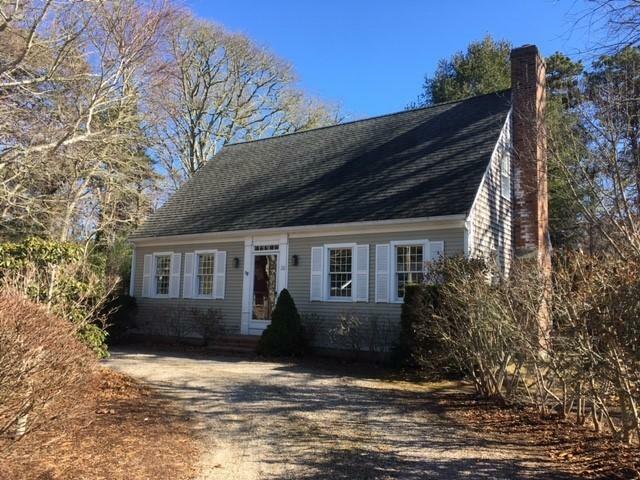 Pristine Cape style home with comfortable, country feel set in a nicely wooded neighborhood just short walk to a deeded path to Snake Pond. Built in 1998, it is completely renovated with custom cabinets, soapstone counter, porcelain sink and tile floor, all new-construction Anderson windows, Bathroom vanities and tile floors, refinished pine floors on first floor, new pine flooring on 2nd floor, new wrap-around mahogany deck, new outside shower, new red cedar shingle siding with weaved corners, all Azek exterior trim, all new exterior doors, new covered porch, new 12×16 post & beam shed, irrigation front and back, children’s play yard, solar panels on back roof (owned). This home is literally in move-in condition. School bus stop out front. Announcing a price change on 42 Warrens Road, a 3302 sqft , 4 bath , 4 bdrm 2 story. • 900 sqft , 1 bath , 2 bdrm single story – FOR SALE $225,000 . Walk to the Village of Harwich Port from this sunny first floor garden-style unit at Beach Plum Condominium. Two spacious bedrooms, a full bath, and an open living/dining room plus full kitchen. The screened patio is great for chillin’ in the summer. Large private basement storage has washer/dryer hookups. This unit is bright and clean and ready for your personal touches. Condo fee includes gas heat, cable, water, trash/recycle & snow removal, landscaping and more. One deeded parking space plus guest parking. • 1760 sqft , 2 bath , 2 bdrm colonial – FOR SALE $599,000 . Coastal elegance. Situated in quaint village near beaches, rail trail and restaurants. This incredibly well-maintained Colonial home has full length high performance Andersen windows throughout. Relax in the beautifully bright and inviting living room, dining room combo and all open floor plan. Stunning new kitchen with high end appliances, custom backsplash and adjoining mud room with full bath. The second floor master bedroom has a gas fireplace, nice sized closets and private deck to enjoy your morning coffee. The second bedroom has a study/sleeping area and lots of closet space. Gorgeous polished white washed wood floors that bring continuous light. French doors in living room invite you onto the expansive mahogany deck with built-in seating and outdoor shower in the private back yard. Fall in love the peace and tranquility of this home. Walking into the kitchen you are greeted with high ceilings, skylights, upgraded quartz countertops and gorgeous wood flooring. Off the kitchen is the spacious great room with soaring beamed wood ceiling and sliding doors opening to the deck overlooking the private back woods. Enjoy the gas fireplace in the living room with soaring ceilings, wood flooring, lots of light streams in from 2 skylights. The master suite has a full bath and high ceilings. The gorgeous guest bathroom has been updated. Downstairs you will find 3 nicely finished rooms; family room, game room and exercise room. You will also find a fantastic walk-in cedar closet and space finished out for a future full bathroom. The owner has had the cul de sac island professionally landscaped including flagpole. The back yard is nicely fenced off the deck – perfect for the dogs. You will also find an outside shower ideal to rinse off after the beach or spending the day golfing or taking in a Harwich Mariners game just around the corner. This beautiful home backs up to acres of woods for the ultimate in privacy and tranquility. 1683 sqft , 2 bath , 3 bdrm 2 story – . • lot / land – FOR SALE USD168,900 .